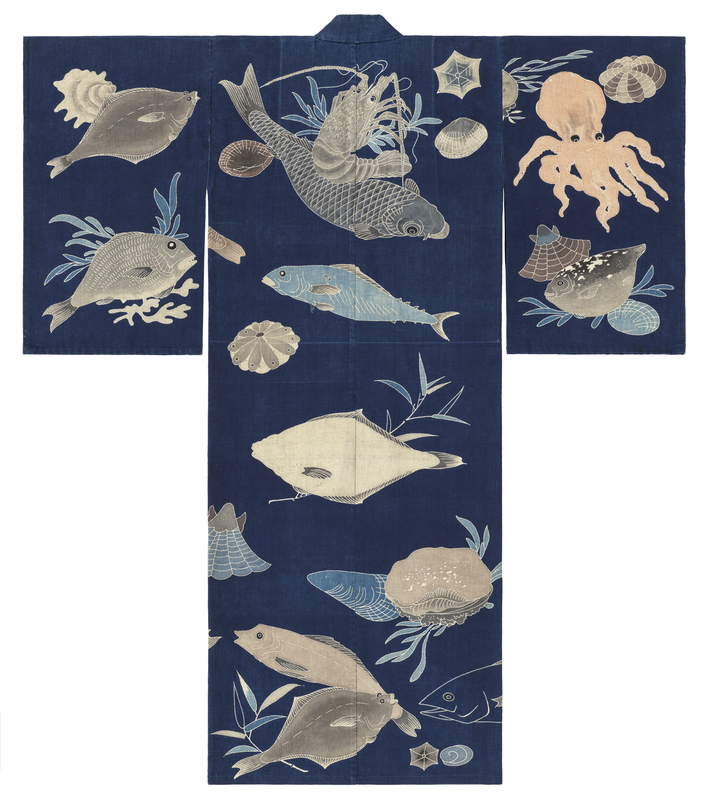 The Minneapolis Institute of Art (Mia) has acquired an exceptional collection of Japanese textiles. 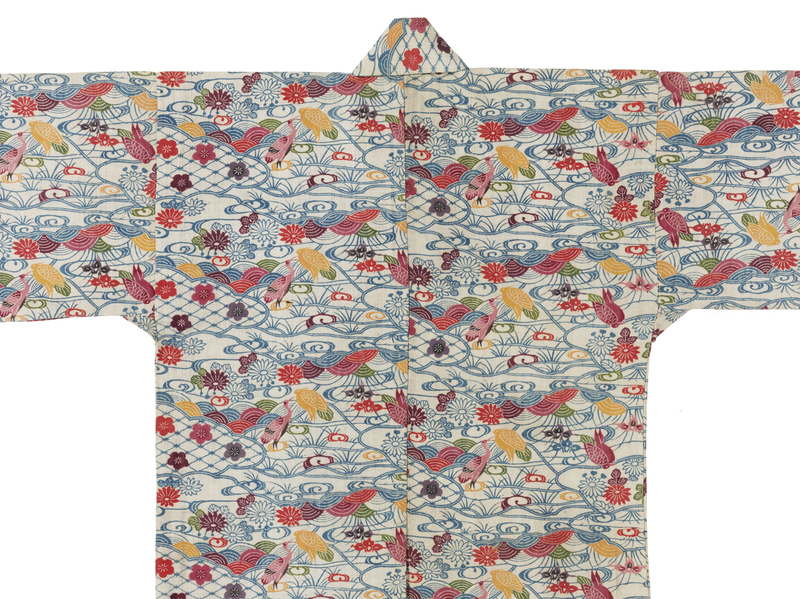 The rare and beautiful handmade Japanese garments were assembled by researcher and Asian art collector Thomas Murray over the course of 40 years and were acquired by the museum in a combined purchase and gift. 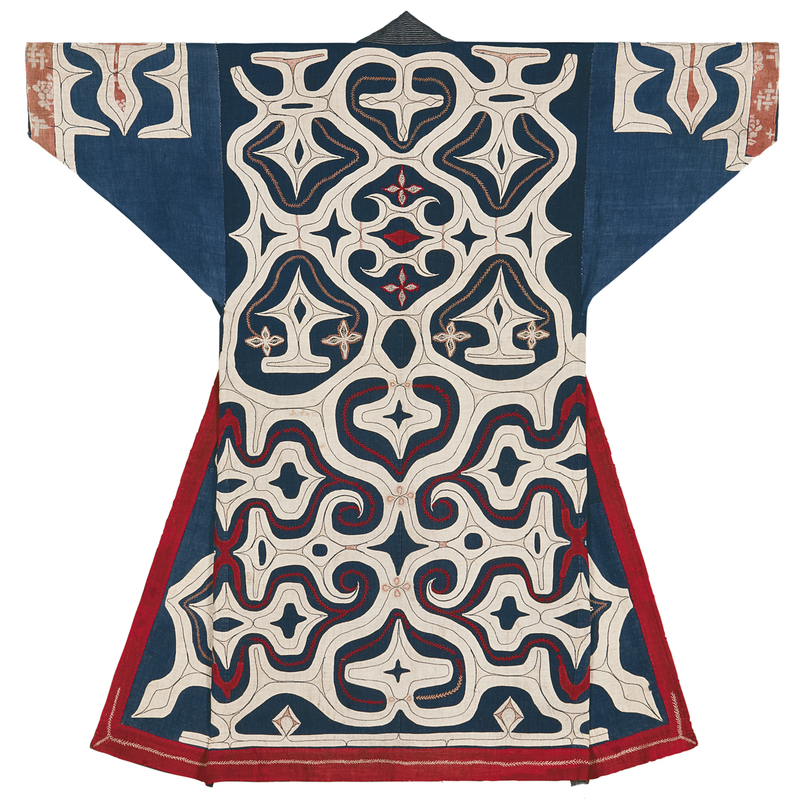 Murray’s refined taste and depth of knowledge of Japanese textiles has created a collection of superlative condition, quality and breadth. 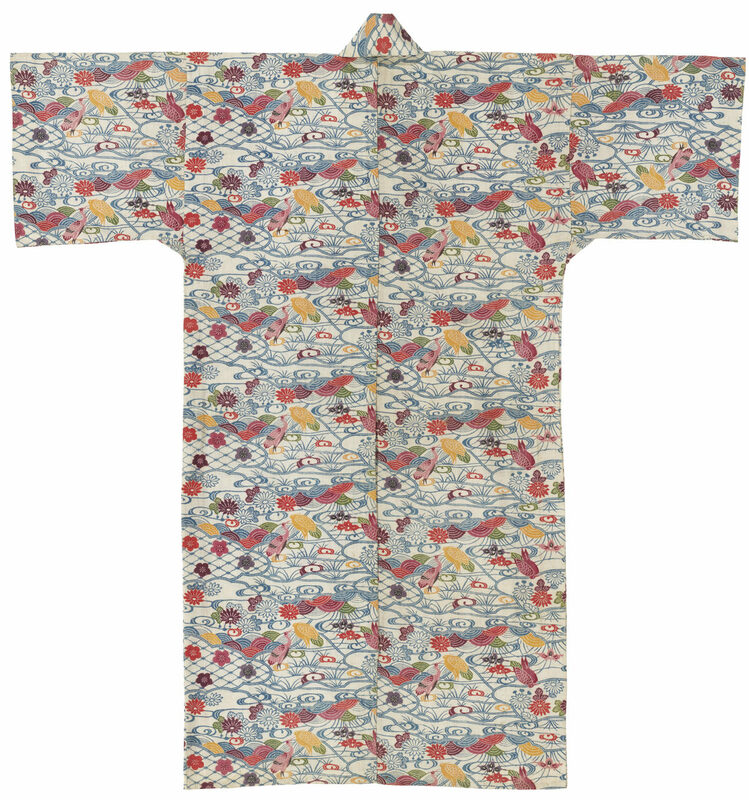 Mia already had very fine collection of Japanese paintings, prints, sculptures and ceramics raises but before this acquisition it only had a few textiles — Noh robes from the theater, silk wedding kimono, early 20th century casual kimono made from meisen silk with bold graphic prints. 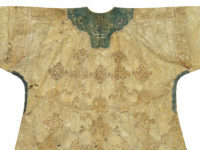 Murray’s collection of 230 pieces elevates the museum’s Japanese textiles holdings from a handful of items to one of the top collections of Japanese clothing in the world. 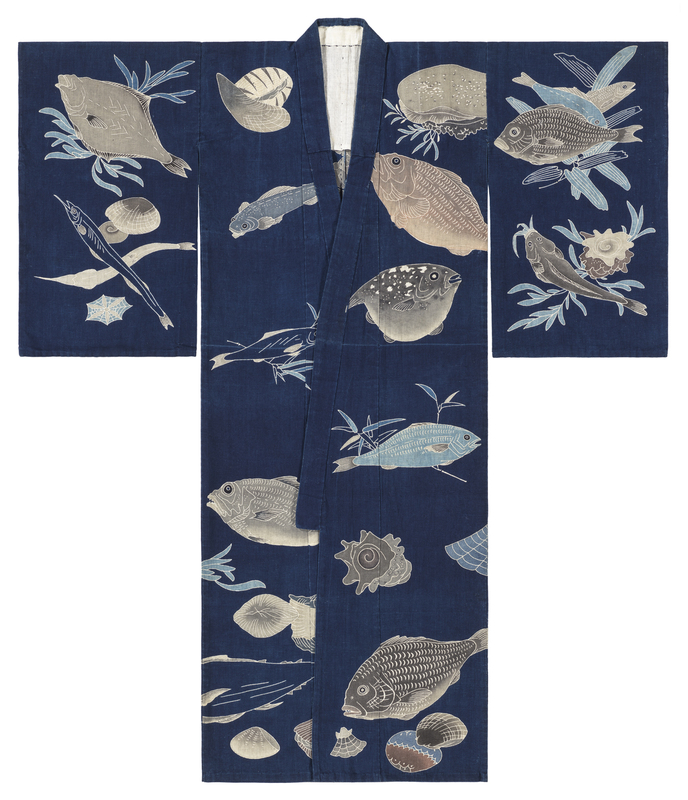 Among the many outstanding textiles in the Murray Collection is an exuberant festival robe decorated with sea creatures and water motifs, used to celebrate a successful fish catch. 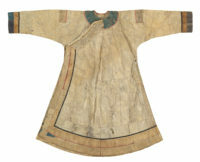 The robe’s decorations were hand-drawn and painted with a rice paste resist dye technique, tsutsugaki, making this robe one of a kind. 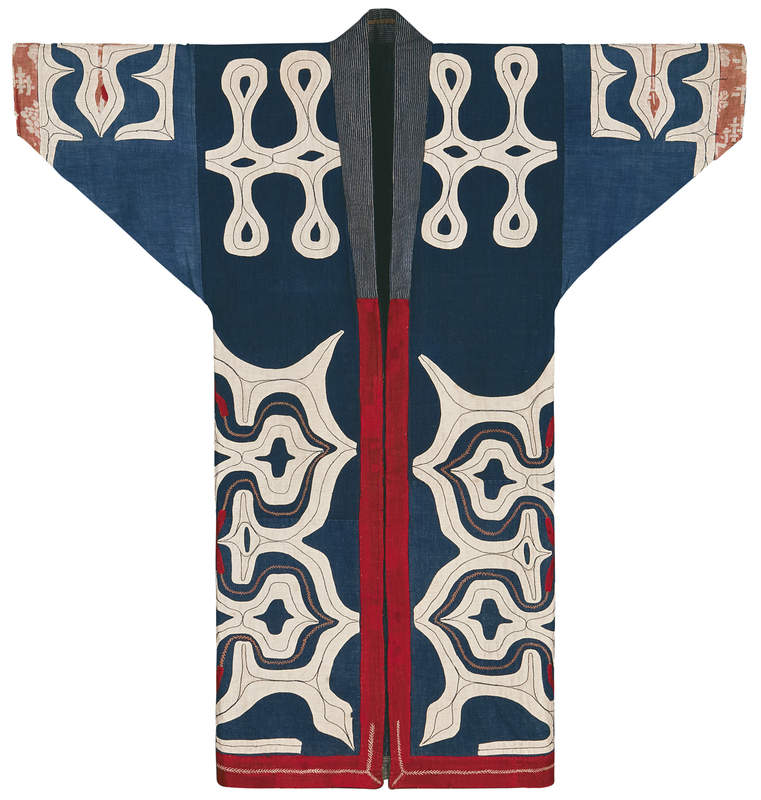 Other important highlights of the collection include Ainu robes which have long been celebrated for their exacting, symmetrical designs revealing the skills and aesthetics of the women who created them. 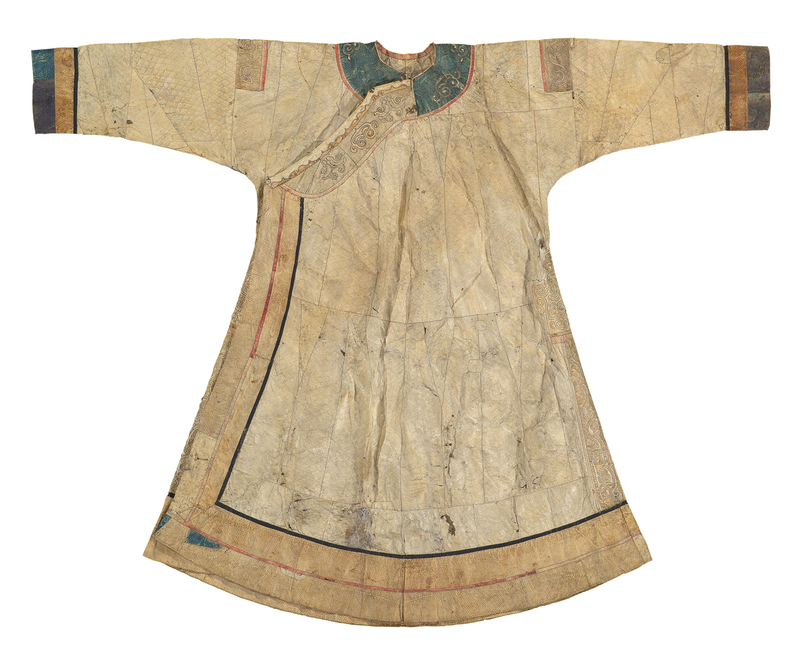 One of these robes is known as a kaparamip, meaning “thin cloth,” because it was made of cotton that was traded from the Japanese mainland. 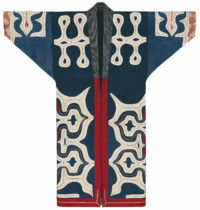 A decorative effect was achieved by using contrasting shades of trade cloth such as indigo that was then overlaid with a white cutout pattern appliqué and accented with red thread in a variety of embroidery stitches. 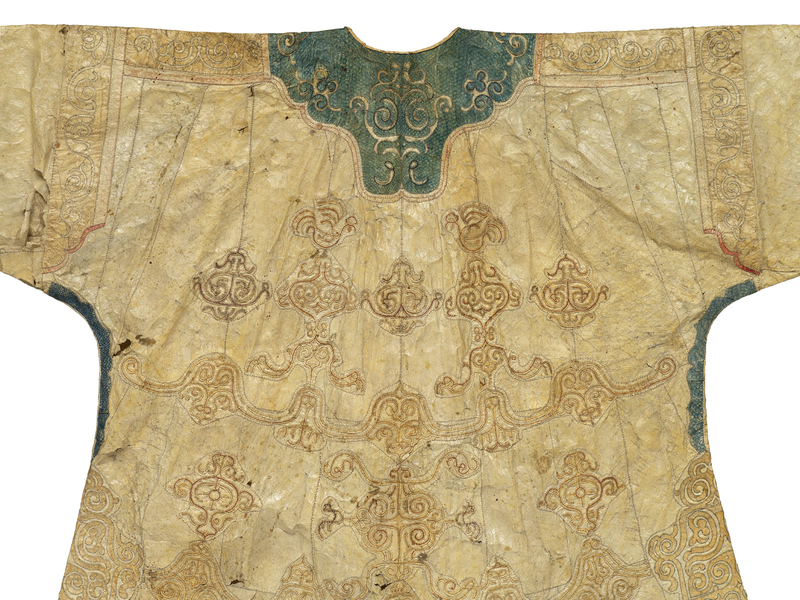 The biggest challenges in conservation of textiles are the protection from bugs and mold. 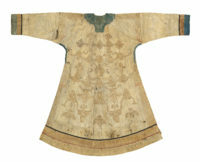 This is primarily achieved through a sanitized and climate-controlled environment that includes storage in archival boxes. 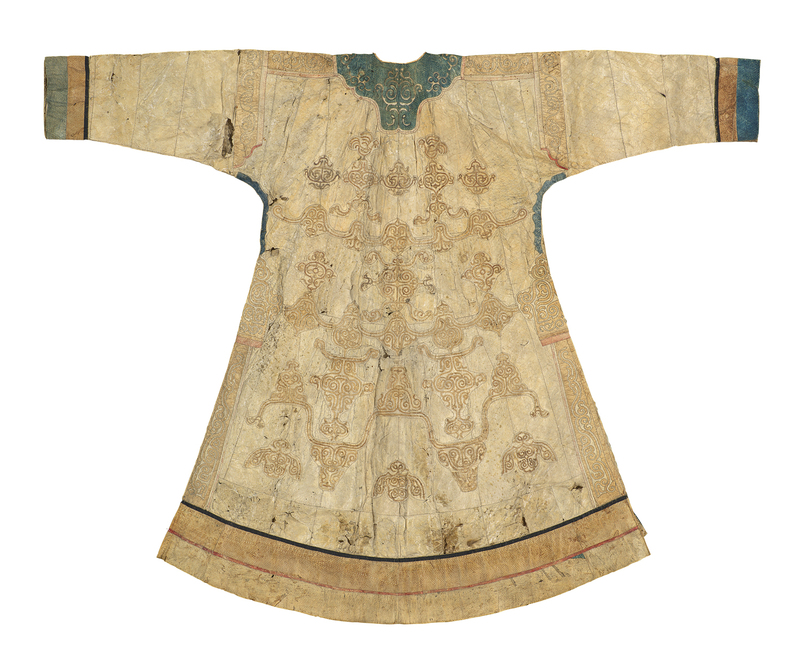 Furthermore, textiles that enter our collection undergo a time period of freezing that would kill any live insects. That way we can prevent bugs from entering. 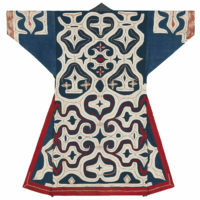 Certain textiles will have to be stored flat and not folded as they are too brittle because of material and/or age. 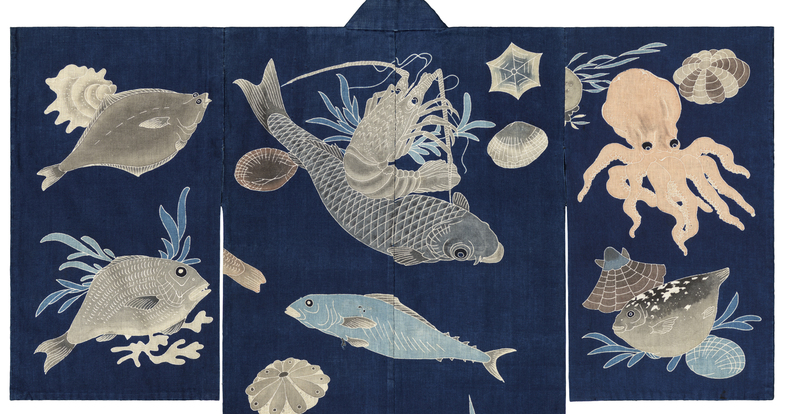 The Japanese textiles are currently undergoing conservation and will go on full display in the fall of 2020.